L'application Pl@ntNet est arrivée en Nouvelle-Calédonie ! Le système d'aide à l'identification des plantes a été adapté à la flore de Nouvelle-Calédonie. Booklet "Plantes de l'île des Pins"
Le livret "Plantes de l'île des Pins" est maintenant disponible ! L'expo-photo Endemia, réalisée en 2017, a été entièrement traduite ! Deux nouvelles versions sont maintenant disponibles ! Le projet porté par Endemia et le WWF Nouvelle-Calédonie pour la sauvegarde de la flore menacée a été lauréat de l'appel à projets "Mon Projet pour la Planète" ! Soutenez Endemia à "Mon Projet pour la Planète !" Endemia s'est associée au WWF pour répondre à l'appel à projets "Mon Projet pour la Planète", lancé par le Ministère de la Transition Ecologique et Solidaire. 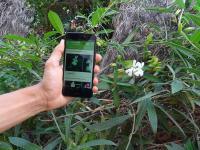 Launch of an Herbonautes mission about endemic genera from New Caledonia ! Endemia recently partnered the Les Herbonautes program to launch on April 3rd, 2018 a mission about endemic genera from New Caledonia. Endemia has been mobilizing for the last 3 years a group of experts (the Red List Authority) in order to assess the extinction risk of the New Caledonia flora. The team established in February 2017 an overview of the work carried since 2015. To date, 1100 species (out of the 3,400 known species) have been treated, 42% of which were assessed are threatened. 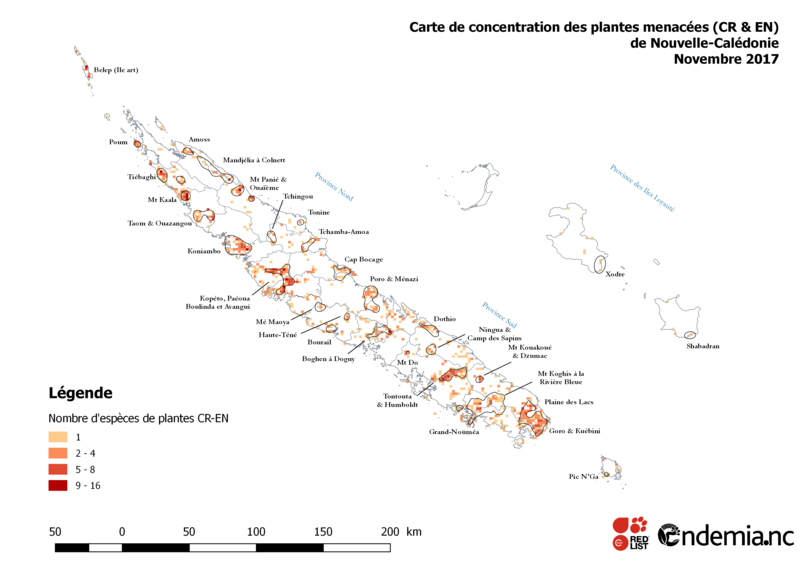 The 33 municipalities of New Caledonia all shelter an original and threatened floristic heritage. On the occasion of this synthesis, Endemia shares with 15 first municipalities the list of endangered species present on their territory and a simplified map. 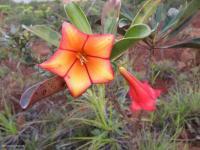 The Red List Authority for plants of New Caledonia is progressing in the extinction risk assessment. Based on the 1,100 species of plants evaluated, this map highlights the areas of concentration of the most endangered species (CR and EN). From the 10th to the 31st of October, the photo exhibition "Danger Critique d'Extinction - A trip to the threatened flora of New Caledonia" is presented at the Bernheim library in Noumea. This photo exhibition is based on the voluntary contributions of 26 botanist-photographers who participate to the Endemia's large inventory of threatened flora of New Caledonia. 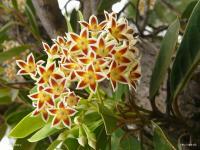 A sample of 21 endemic species has been selected to illustrate a panorama of threatened plants. An atlas gathering the most threatened plants of the areas managed by local comities has been drafted for the 3rd Forum of Management Comities held in Poindimé in July 2017. Endemia has been mobilizing for the last 2 years a group of experts (the RLA) in order to assess the extinction risk of the New Caledonia flora. The team established in February 2017 an overview of the work carried since 2015.